Michael Avenatti, the high-profile attorney and critic of President Donald Trump, was arrested Monday and charged by federal prosecutors with trying to extort Nike by threatening to level damaging allegations against the athletic apparel company unless it paid him and his client millions. Simultaneously, federal prosecutors in Los Angeles filed separate charges accusing Avenatti of wire fraud and bank fraud, saying he for allegedly taking a client’s settlement money and using it to pay expenses for Avenatti’s coffee business. Avenatti allegedly concealed from the client what he had done with the money. 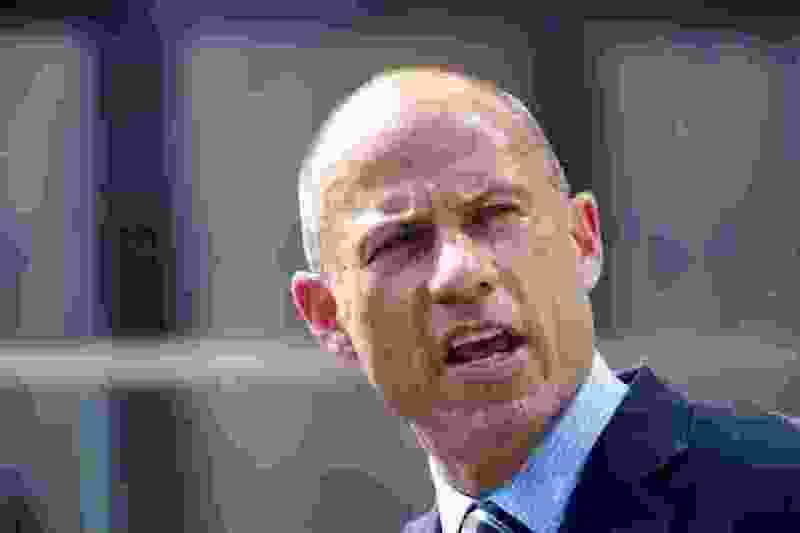 Geoffrey Berman, the U.S. attorney in Manhattan, said Avenatti dressed up his alleged extortionate demands as legal negotiations, but that doing so violated the law. FBI officials said Avenatti was arrested in Manhattan on Monday as he arrived at an expected meeting with lawyers for Nike. The charges mark the latest and most remarkable chapter in the strange public saga of the California lawyer who had represented Stormy Daniels, an adult-film actress paid to keep quiet during the 2016 presidential campaign about her alleged sexual tryst with Trump several years ago. Late last year, Avenatti mulled running for president before opting against it. That case catapulted Avenatti to cable television news fame, but prosecutors now say he threatened to use that platform to commit a crime. Avenatti did not immediately respond to a phone call and text message seeking comment. Authorities charge Avenatti threatened to hold a news conference on the eve of the NCAA college basketball tournament to reveal damaging allegations against Nike unless it paid his client $1.5 million and agreed to hire Avenatti and another lawyer for $15 million to $25 million to conduct an “internal investigation” into the purported allegations. Authorities did not disclose the identities of Avenatti’s client or the other lawyer cited in the charging documents. A representative for Nike did not immediately respond to a message seeking comment. According to a criminal complaint filed by an FBI agent, Avenatti and the other lawyer — identified only as “co-conspirator 1” — held a contentious phone call last week with lawyers for Nike. In that call, Avenatti allegedly told Nike that if their demands were not met, “I’ll go take ten billion dollars off your client’s market cap. ... I’m not [expletive] around,” according to the complaint. Avenatti claimed his client “had evidence that one or more Nike employees had authorized and funded payments to the families of top high school basketball players and/or their families and attempted to conceal those payments,” the complaint said. Nike’s lawyers responded, it says, by calling federal prosecutors to report a potential crime in progress. Federal agents arranged to secretly record subsequent conversations during which, they say, Avenatti demanded money not just for his client, but for himself. The charges in the New York case are extortion, extortion conspiracy, transmission of interstate communications with intent to extort, and conspiracy to transmit interstate communications with the intent to extort. In the California case, Avenatti is accused of misusing client funds, and lying to a bank about his income to obtain loans totaling $4.1 million for his law firm and coffee business. According to court papers filed in that case, Avenatti negotiated in January a $1.6 million settlement on behalf of an unidentified client but gave that client a bogus settlement agreement with a false payment date. Avenatti allegedly used his client’s money to pay expenses for his coffee business, as well as his own expenses, concealing what he’d done from the client, officials charge. As part of a long-running investigation into Avenatti’s alleged financial misdeeds, officials said he did not pay taxes for several years, and owed the Internal Revenue Service $850,438 in unpaid taxes, plus interest and penalties.